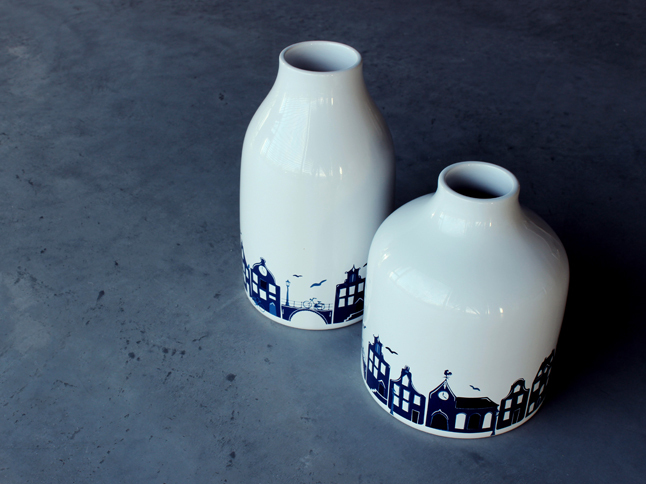 Schoonhoven Keramiek (Schoonhoven Ceramics) has added two robust vases to their succesfull collection Holland Blauw (Dutch blue), designed by Kommerkors. Earlier this year, Kommerkos designed cups and saucers for this collection of ceramics. 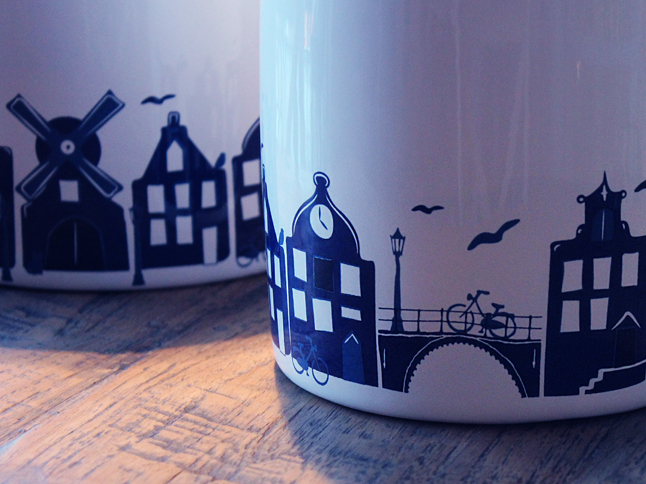 Kommerkors painted the typical Dutch canal houses in blue on a white background. People love to buy them as a present for their friends and family abroad. The vases are individually packaged in a sturdy, custom-made white gift box with a seal bearing an image of the blue skyline. Customers can have their name or logo printed on the bottom of the vase.